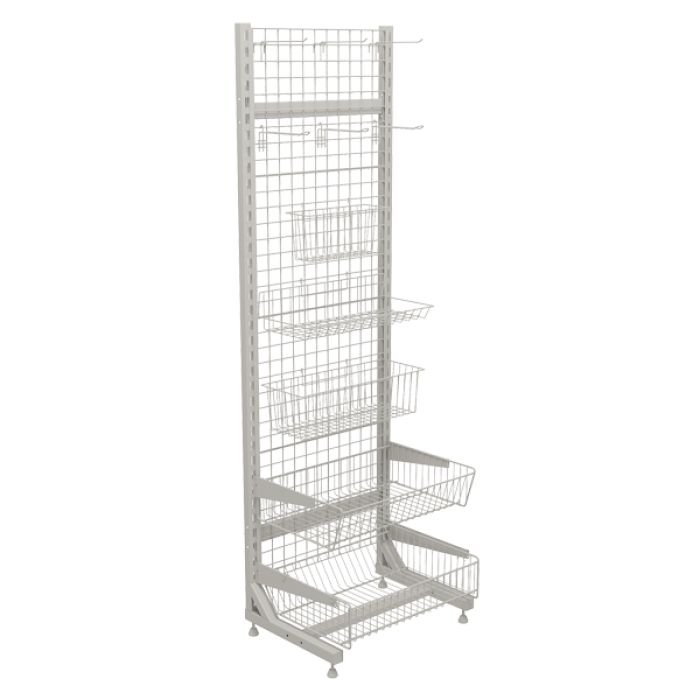 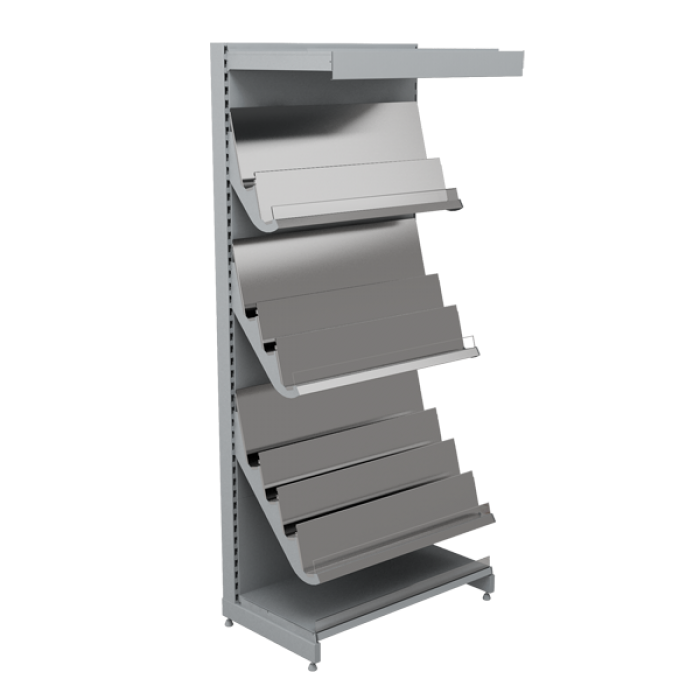 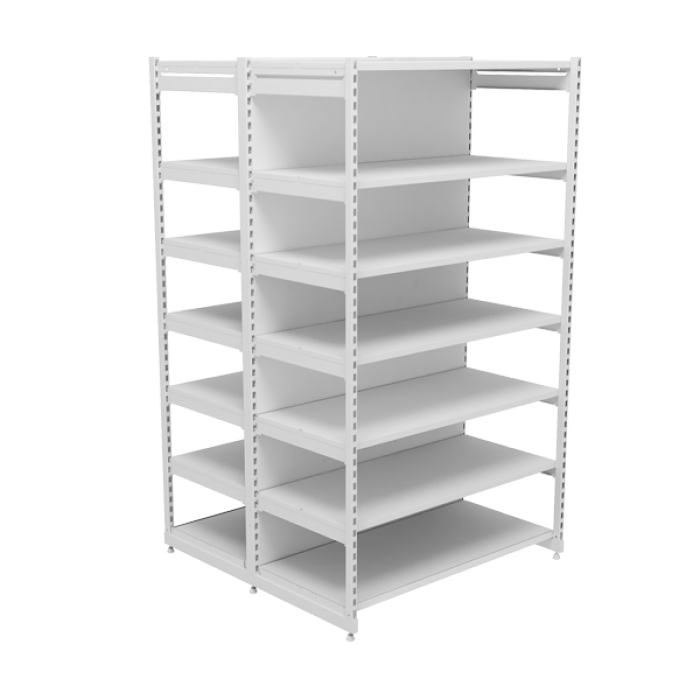 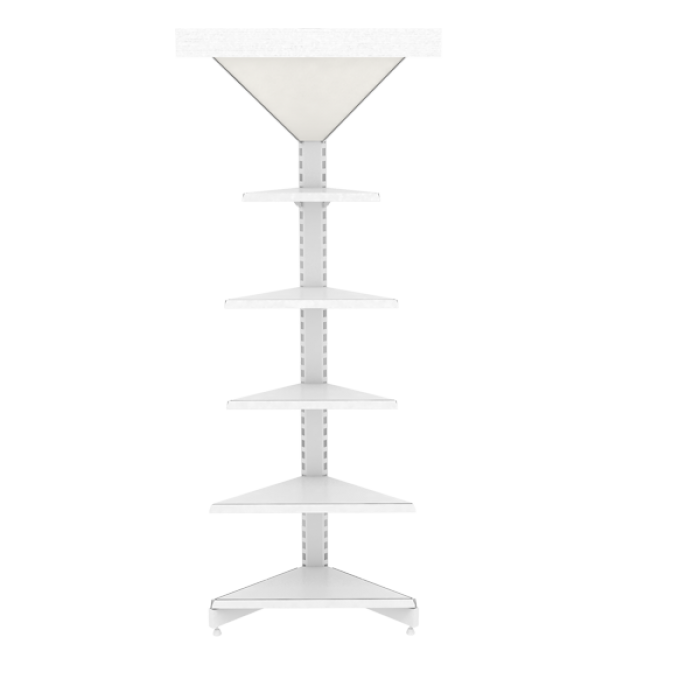 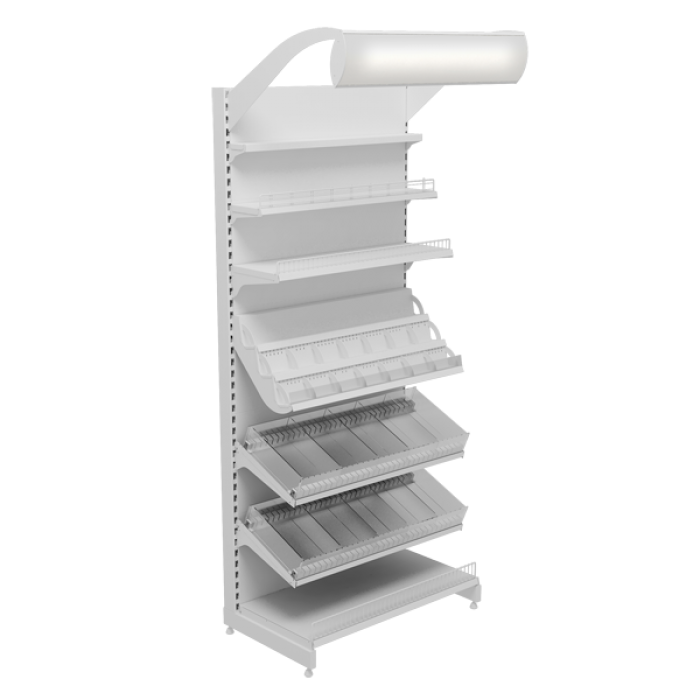 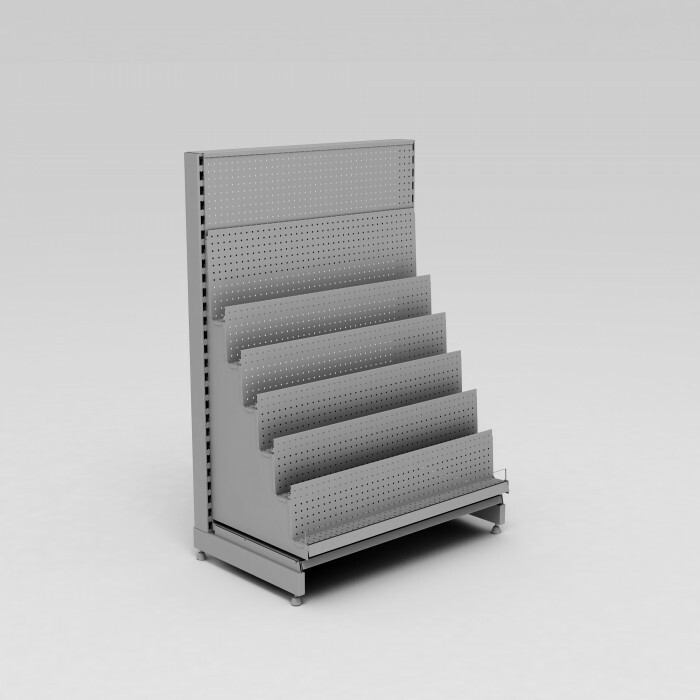 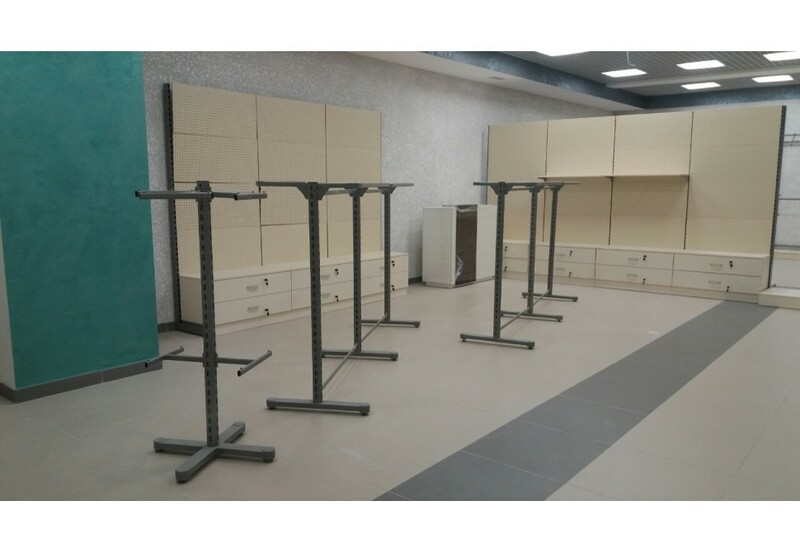 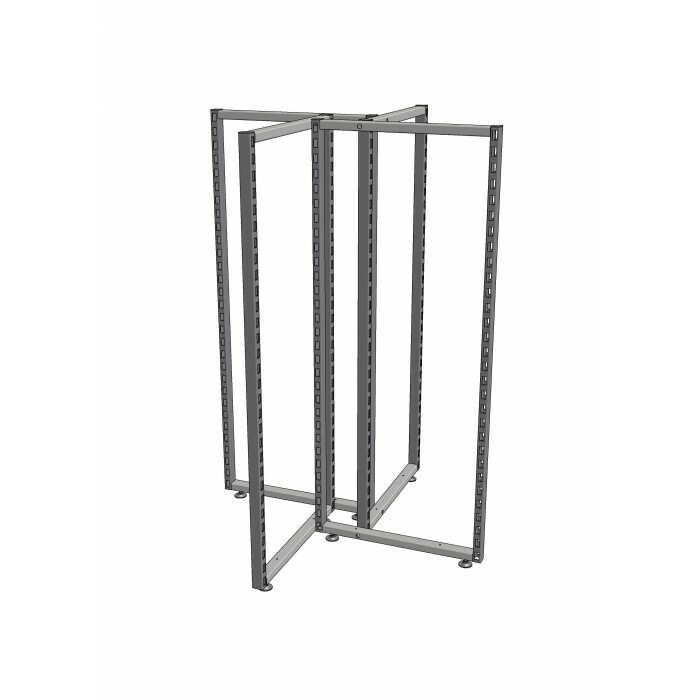 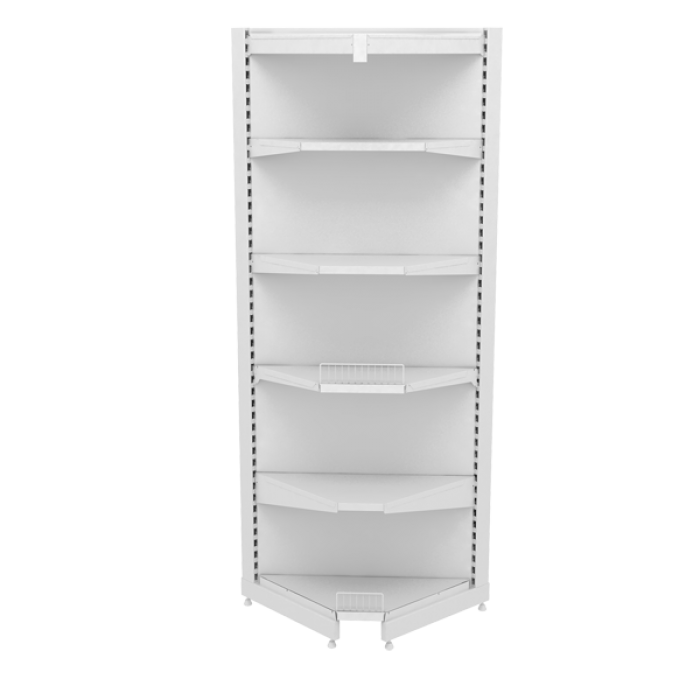 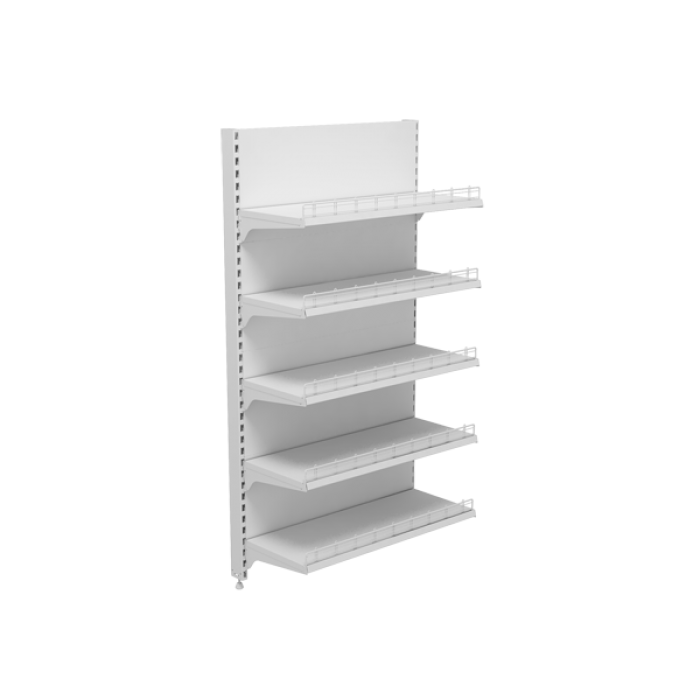 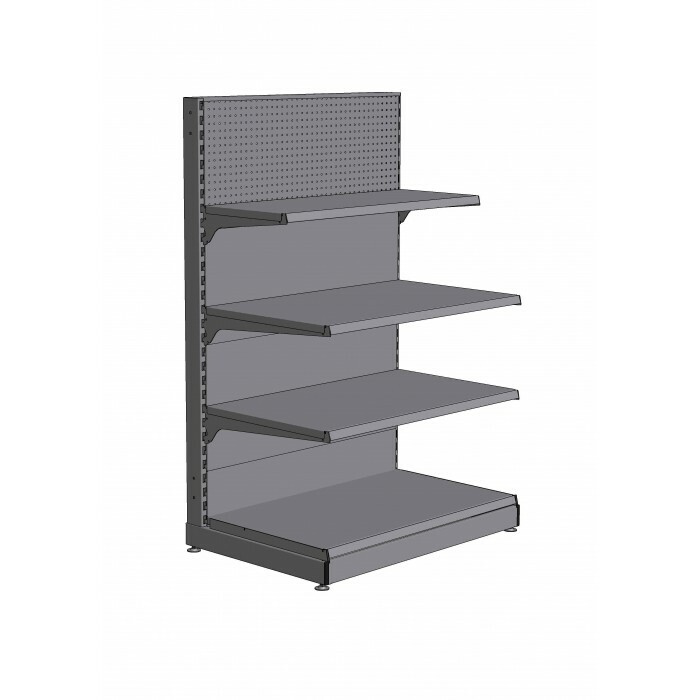 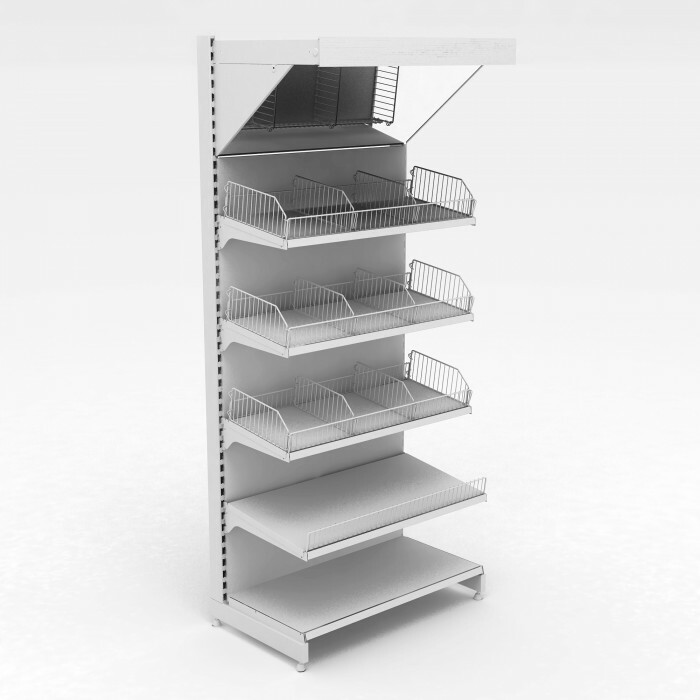 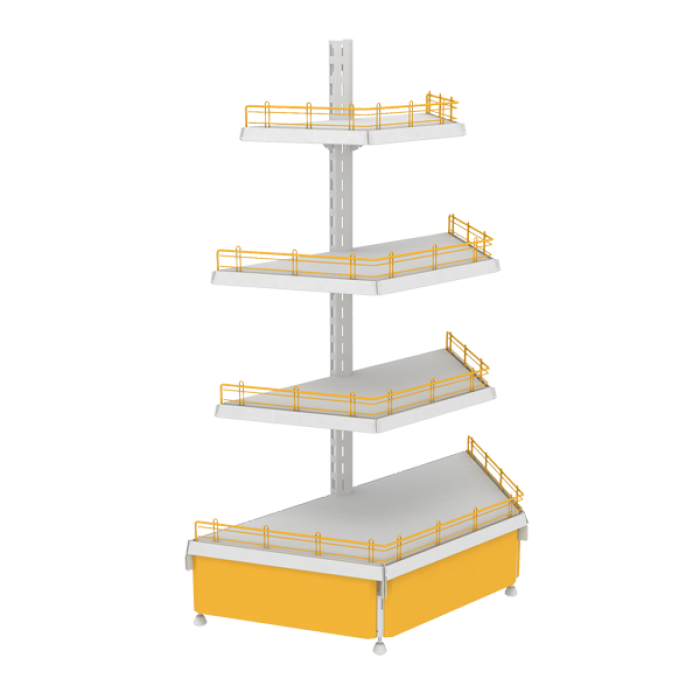 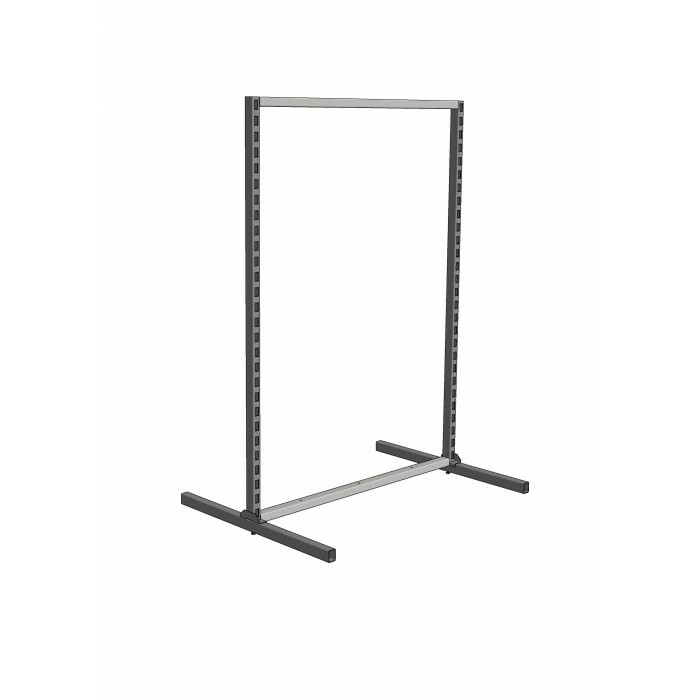 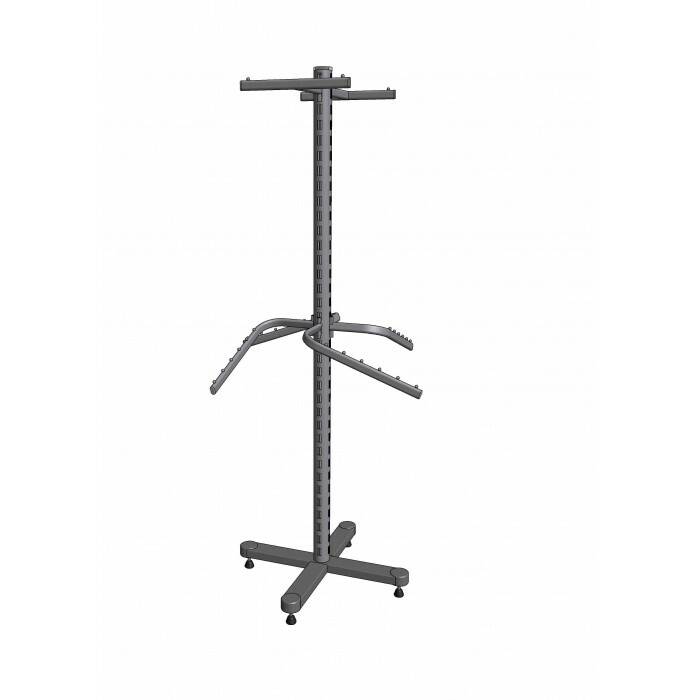 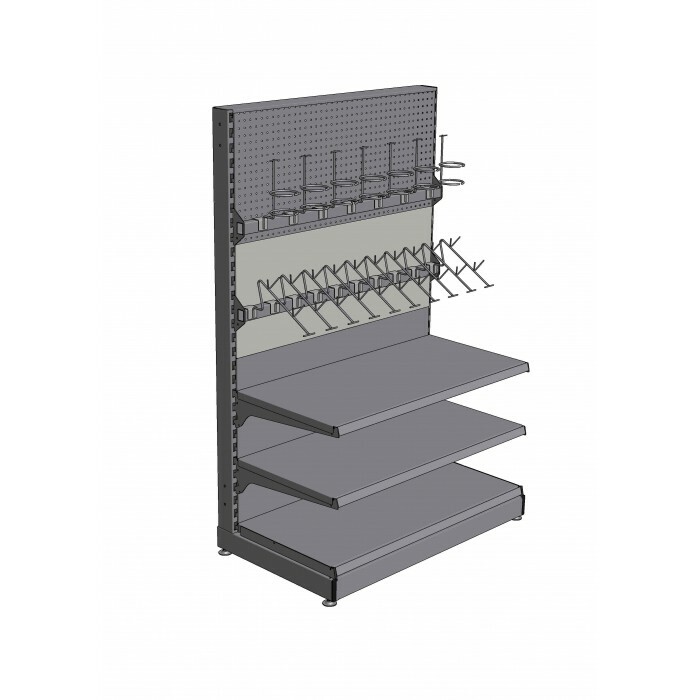 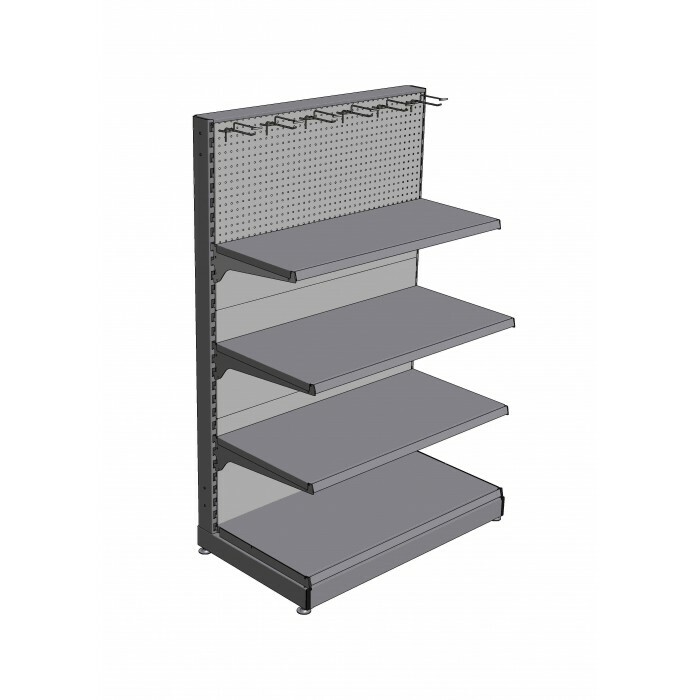 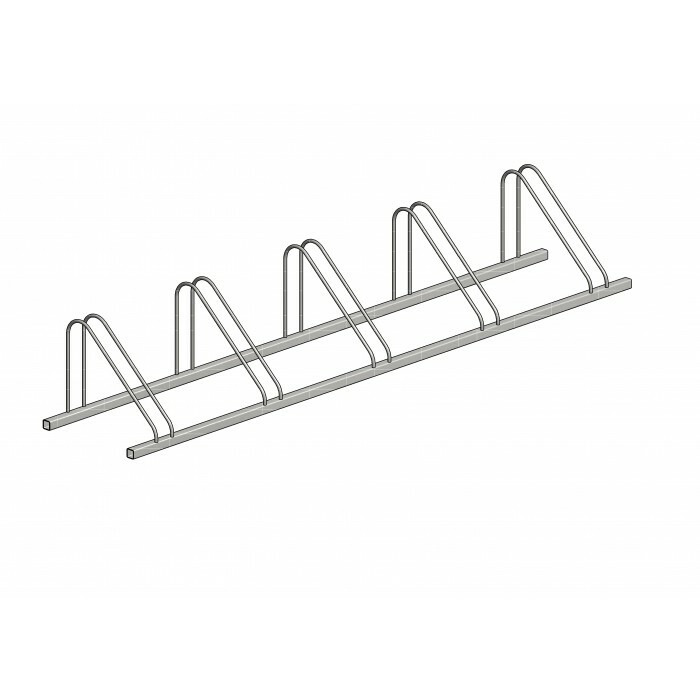 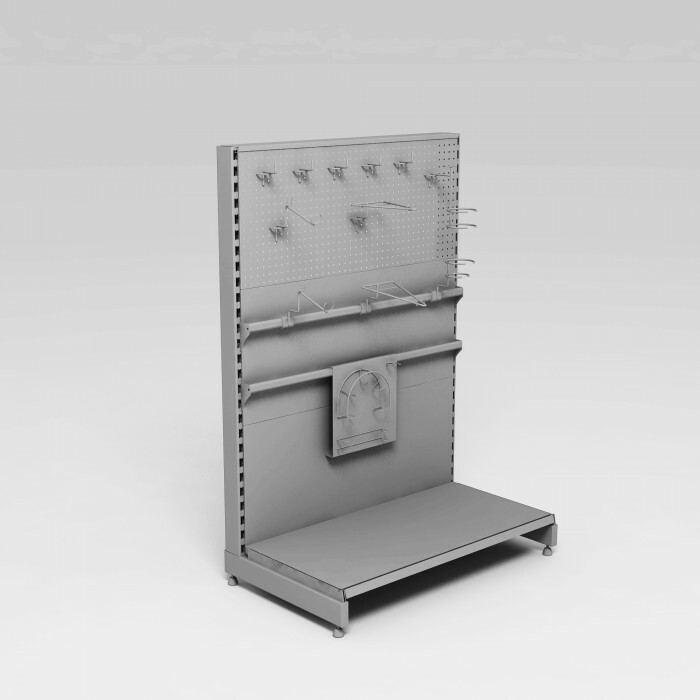 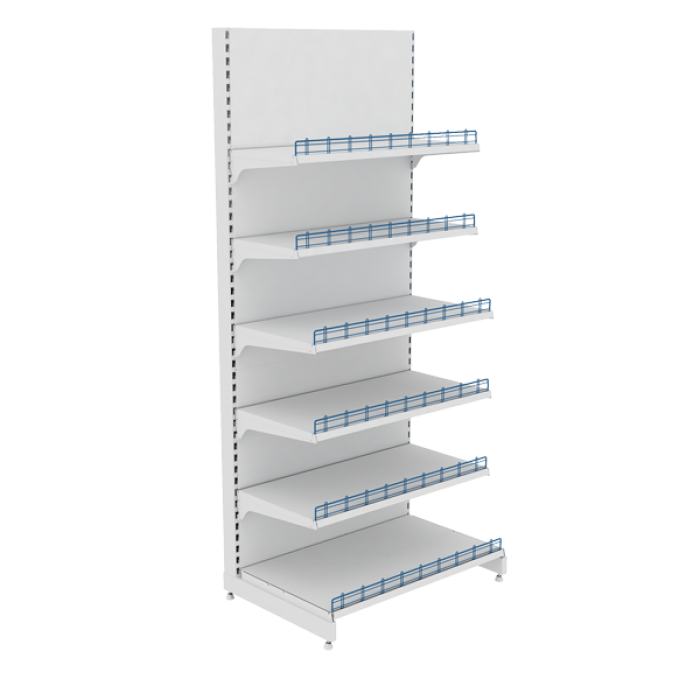 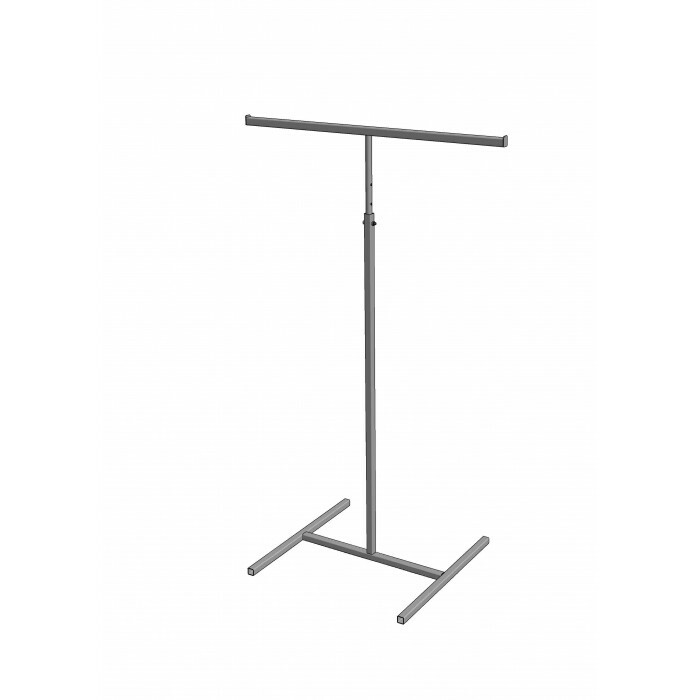 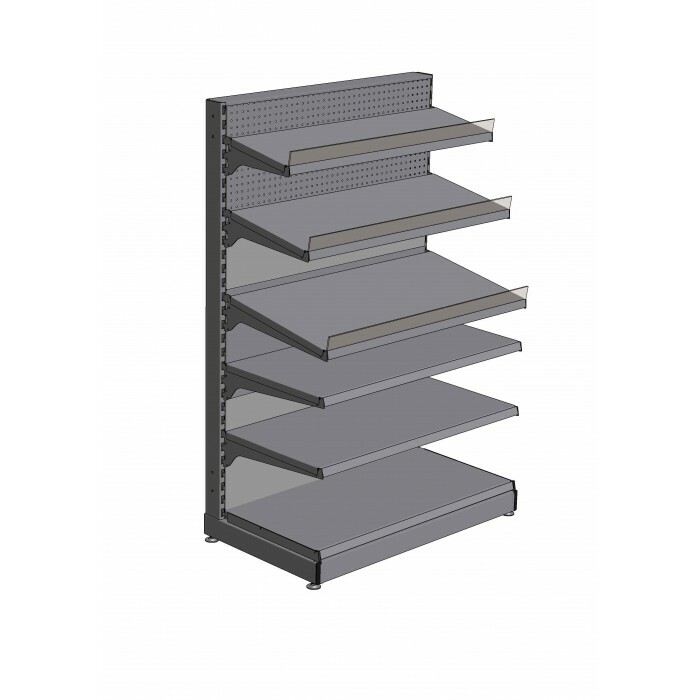 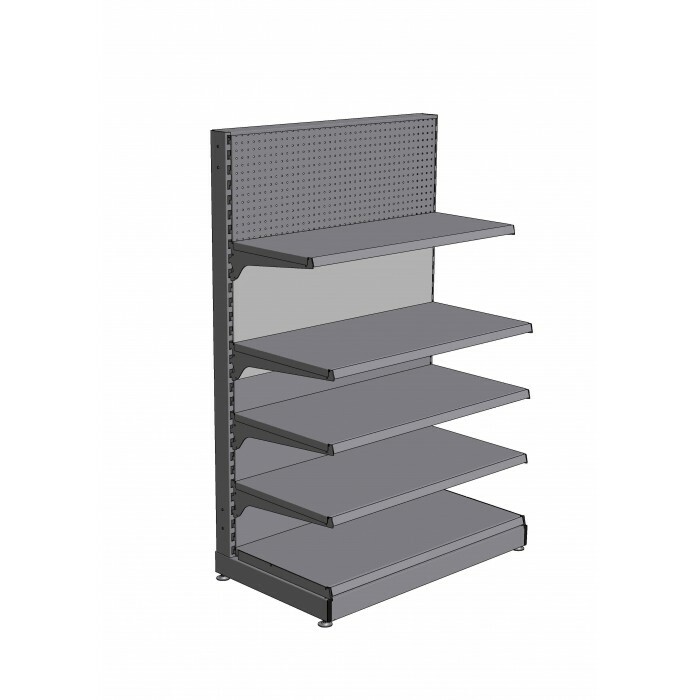 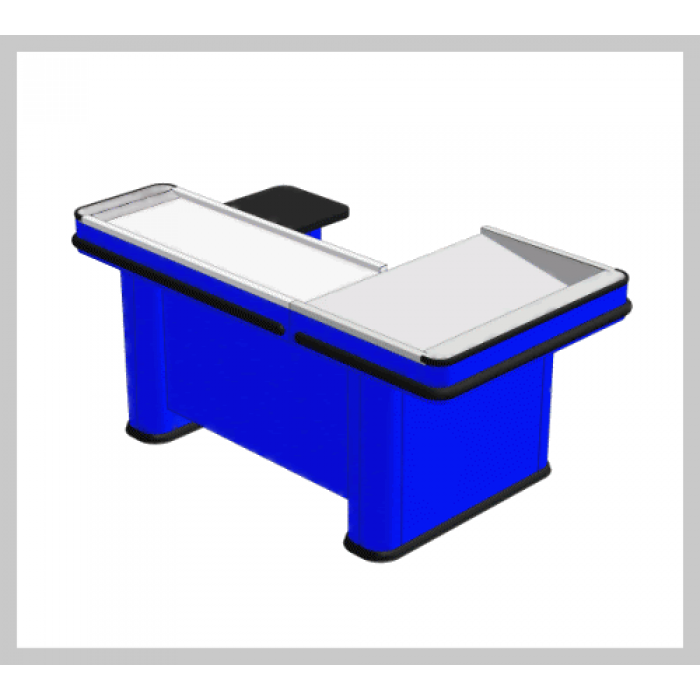 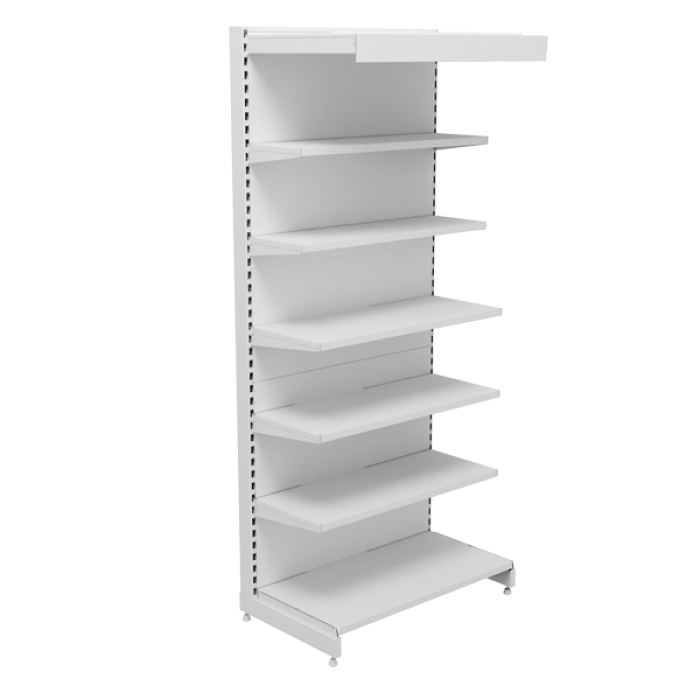 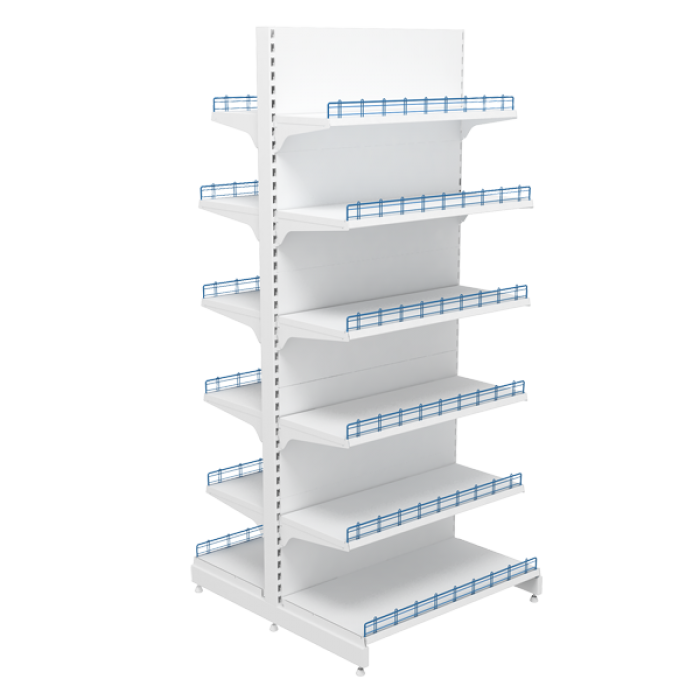 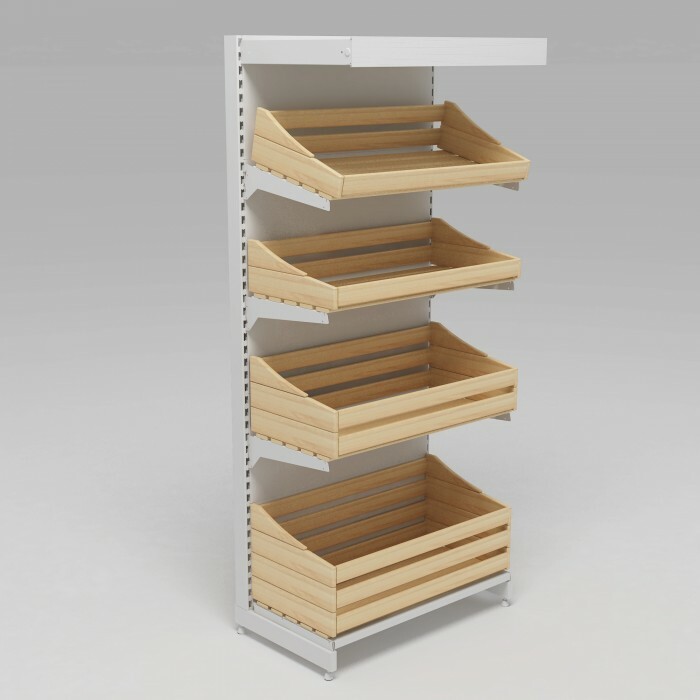 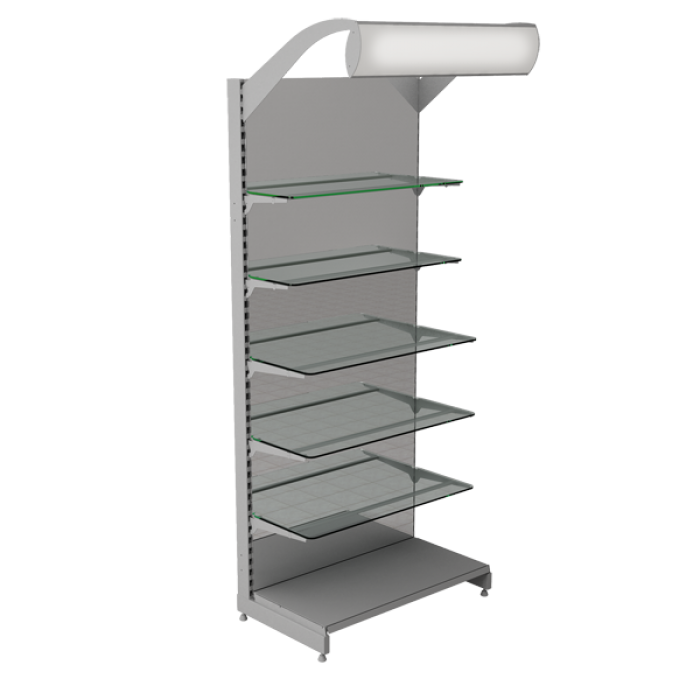 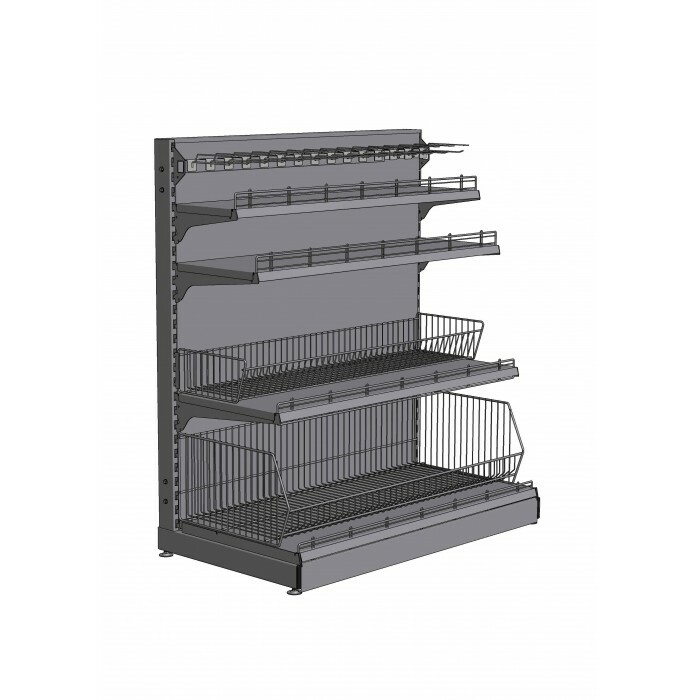 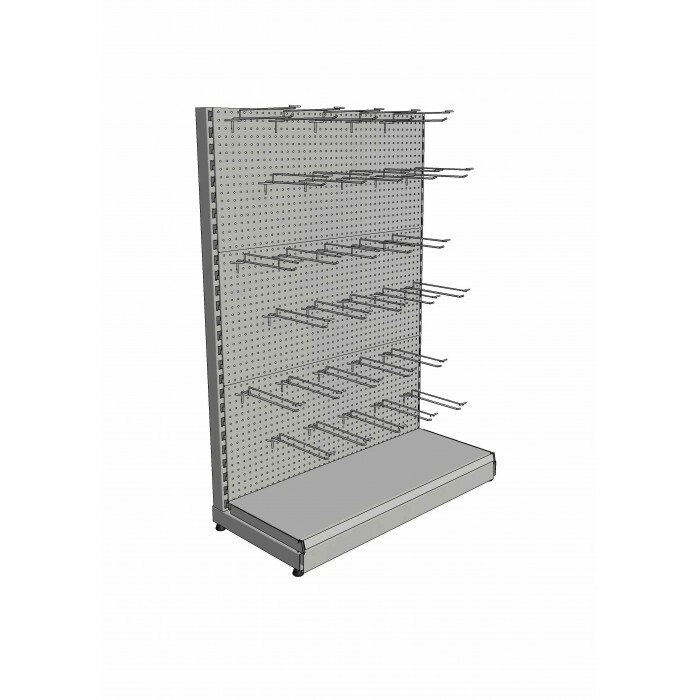 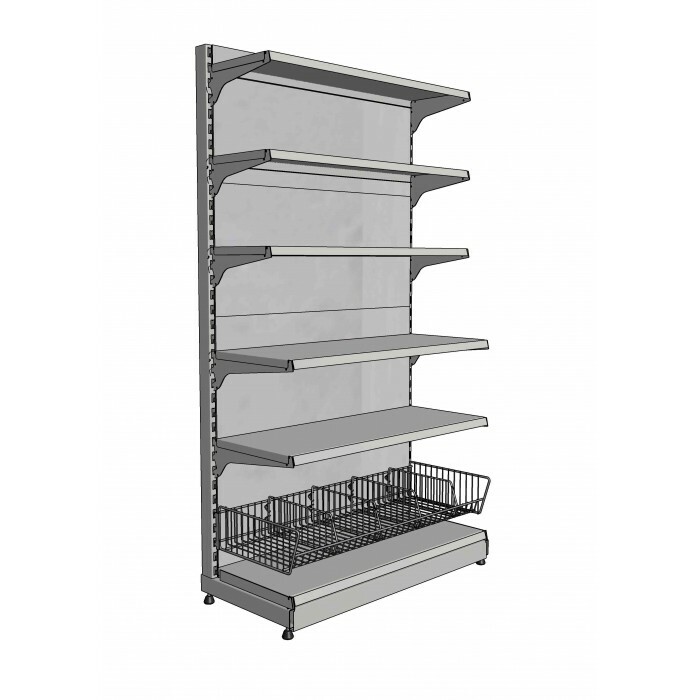 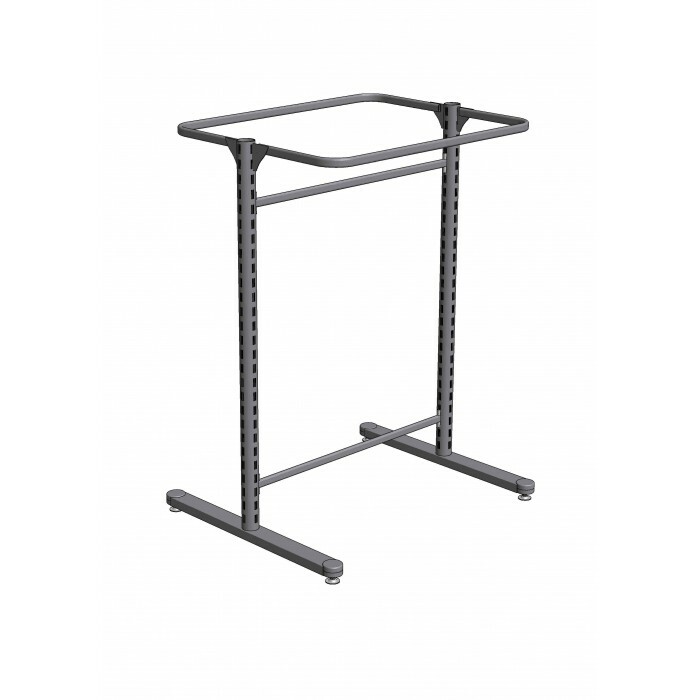 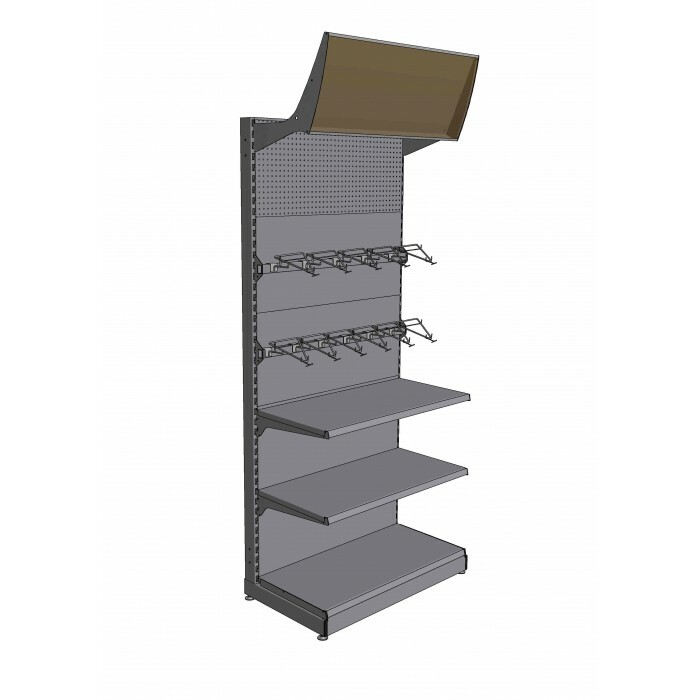 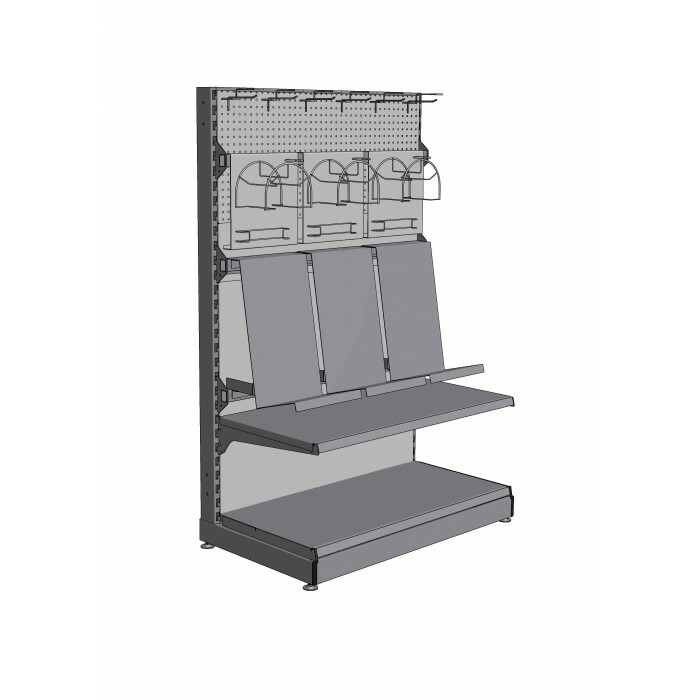 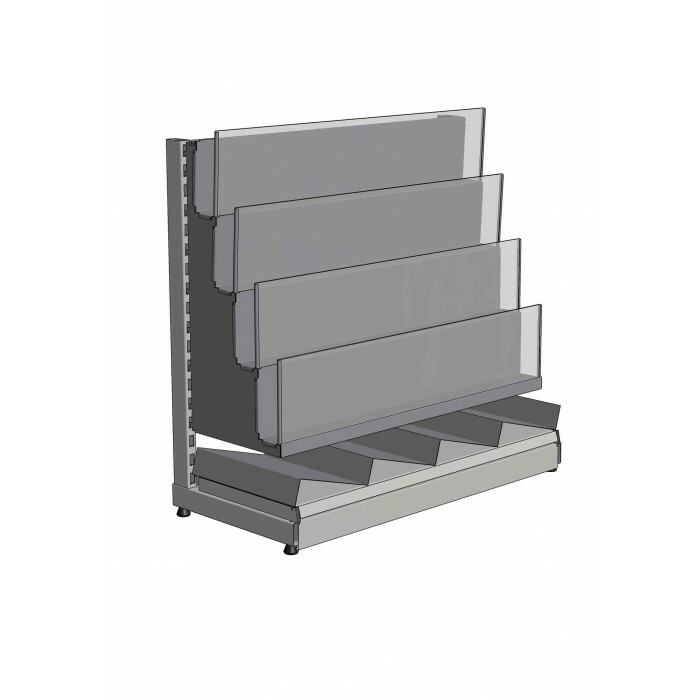 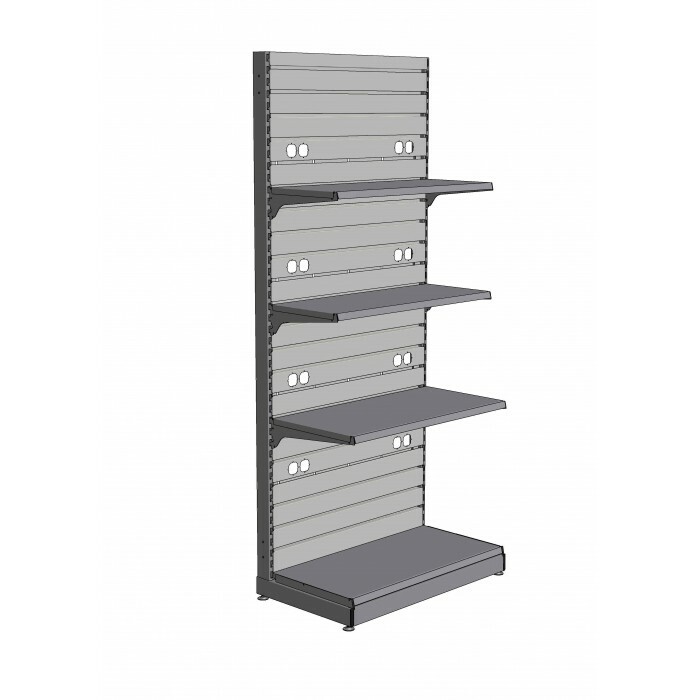 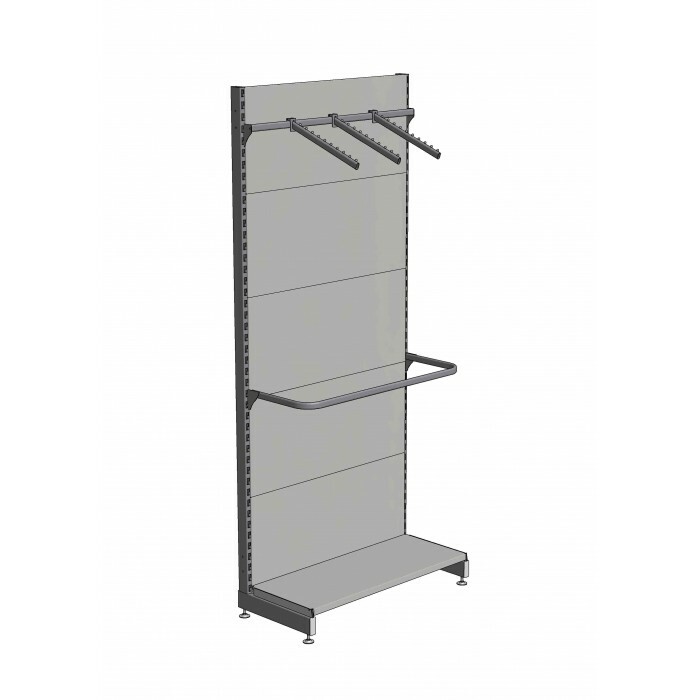 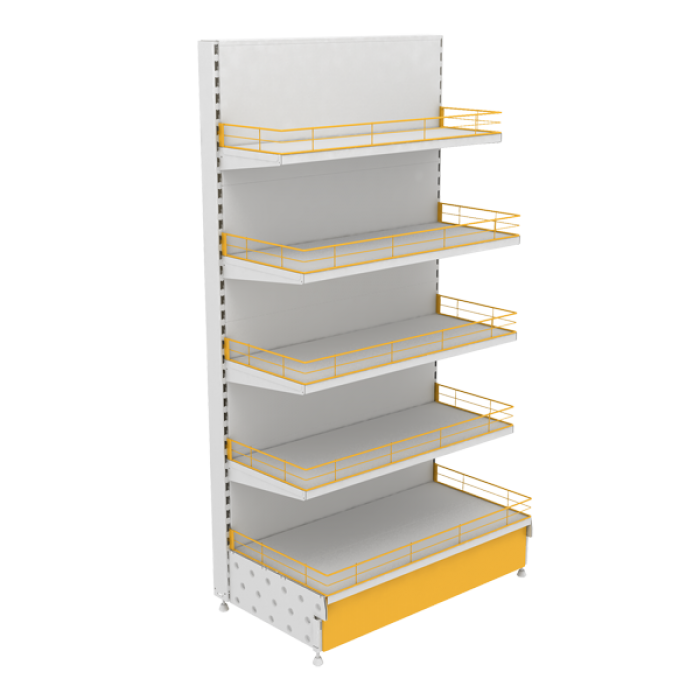 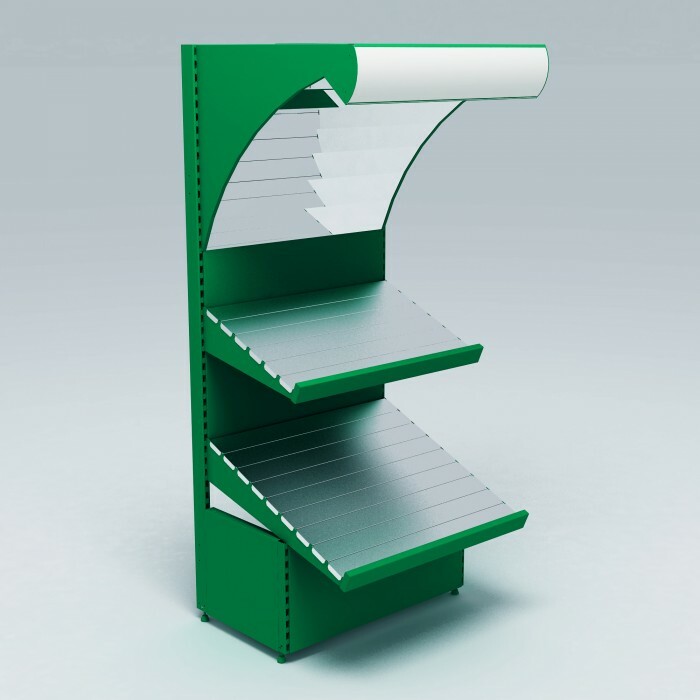 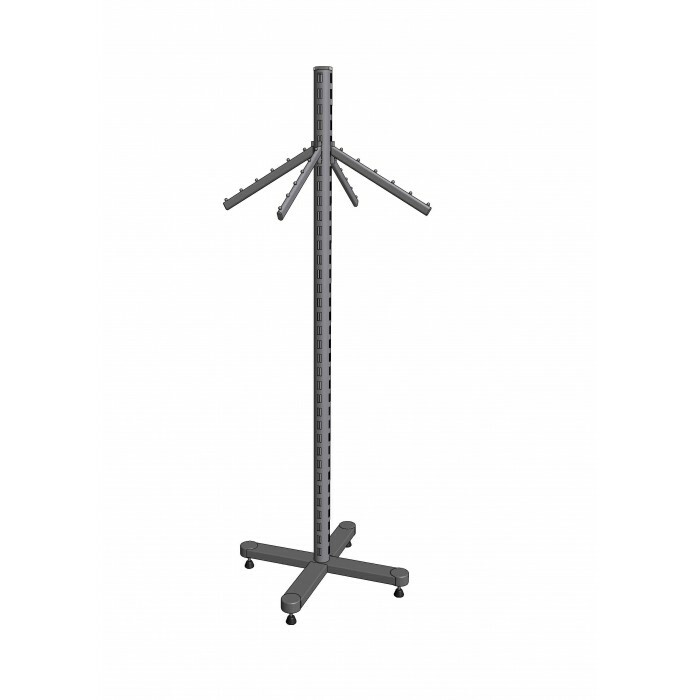 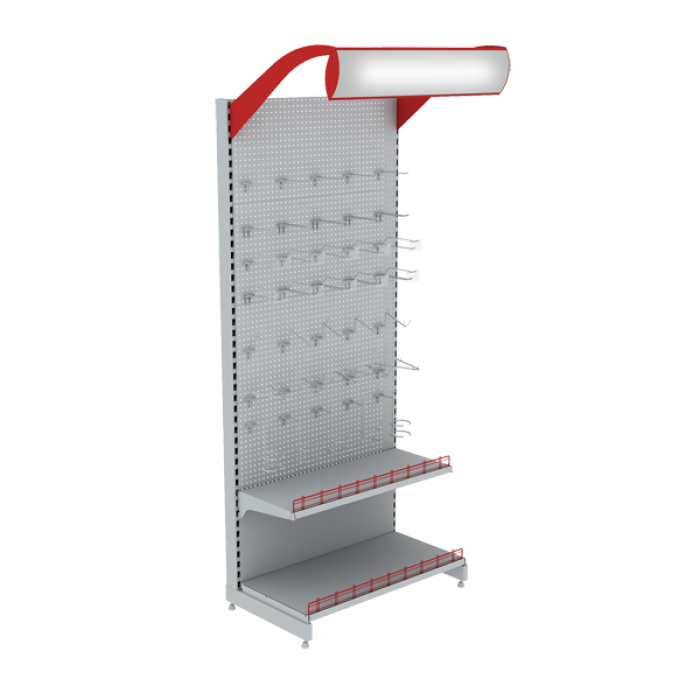 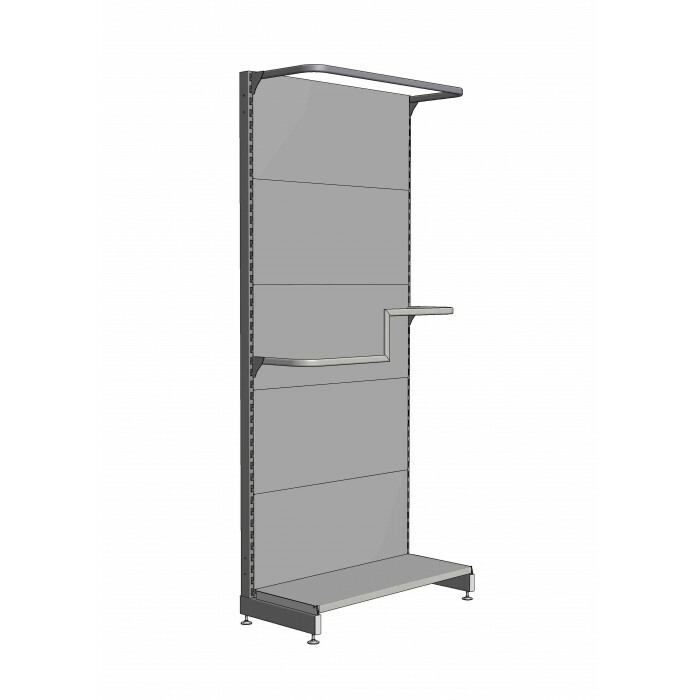 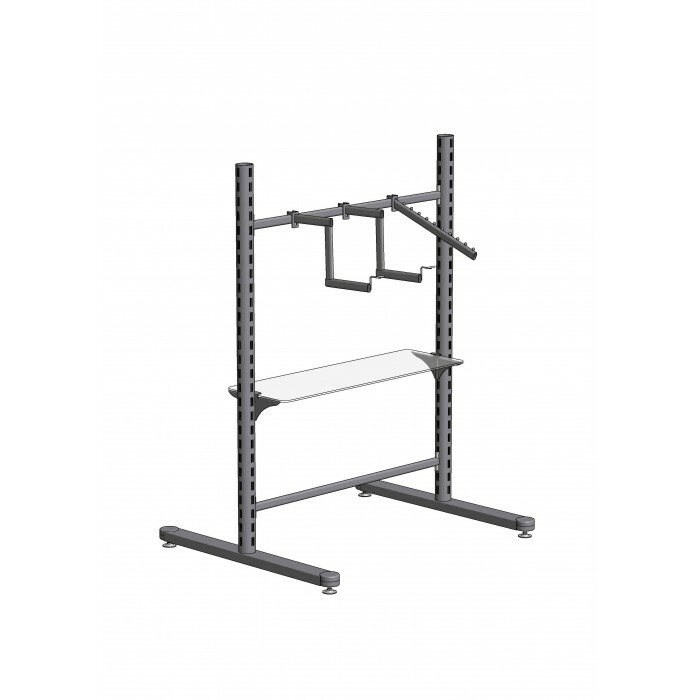 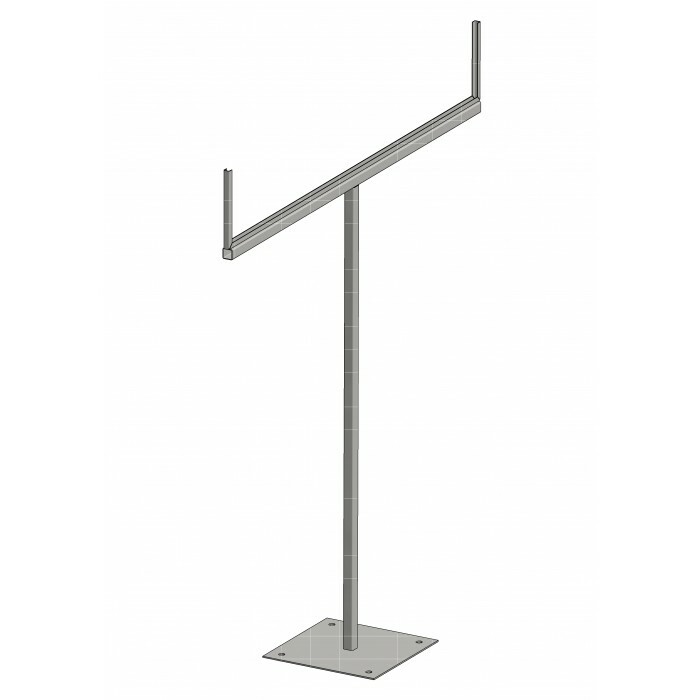 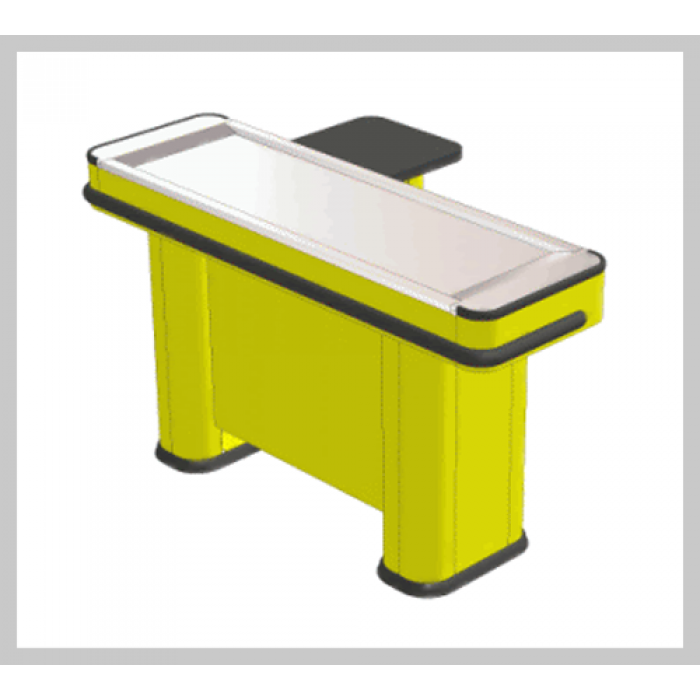 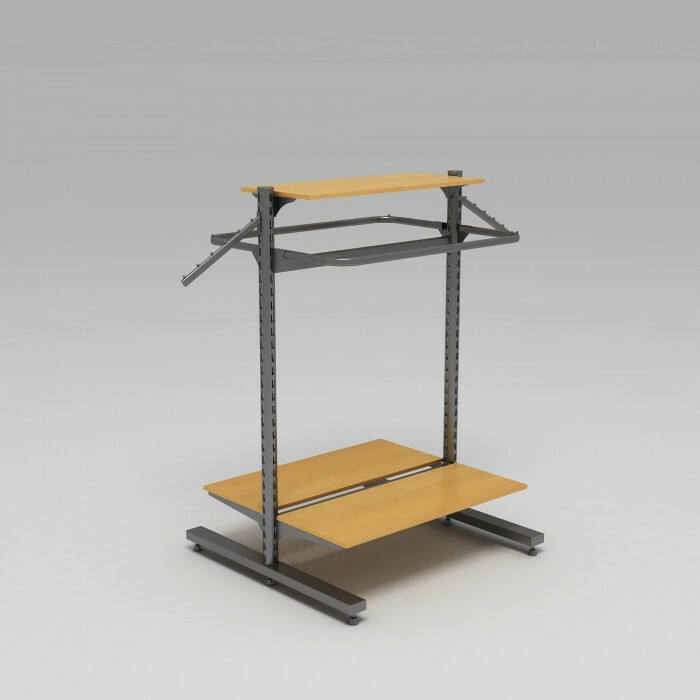 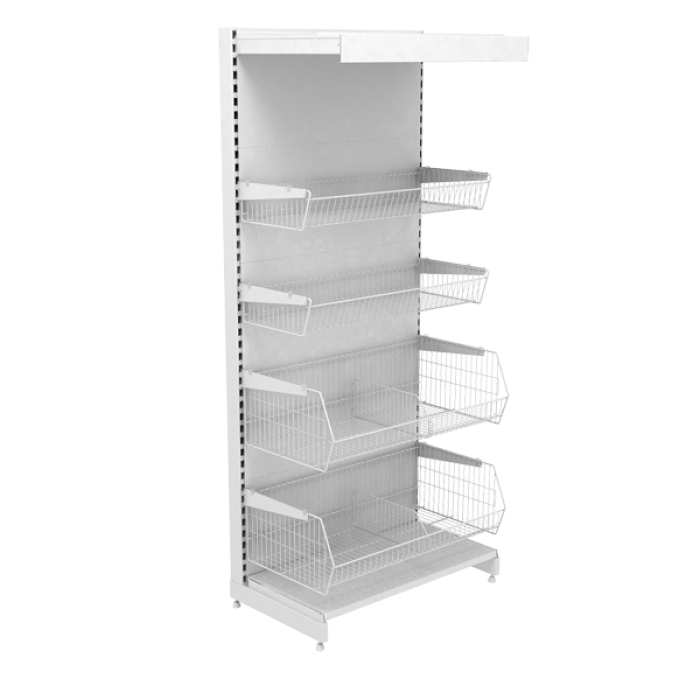 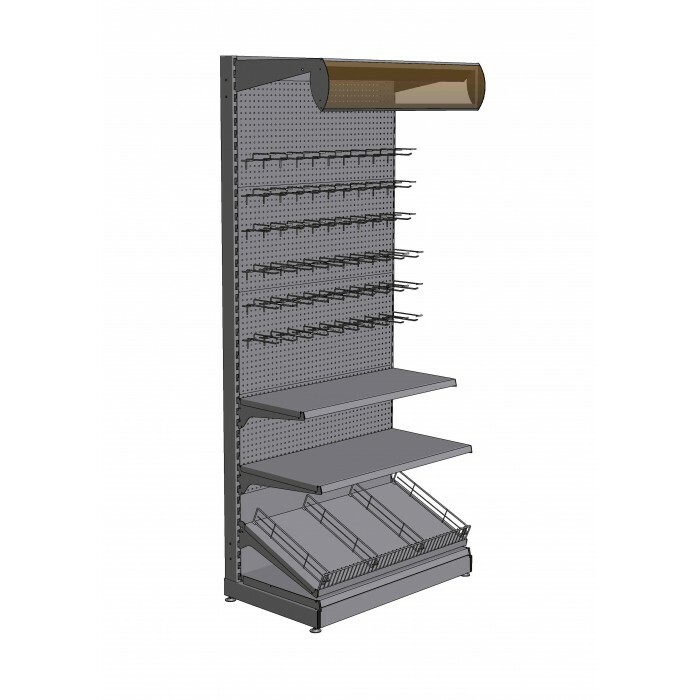 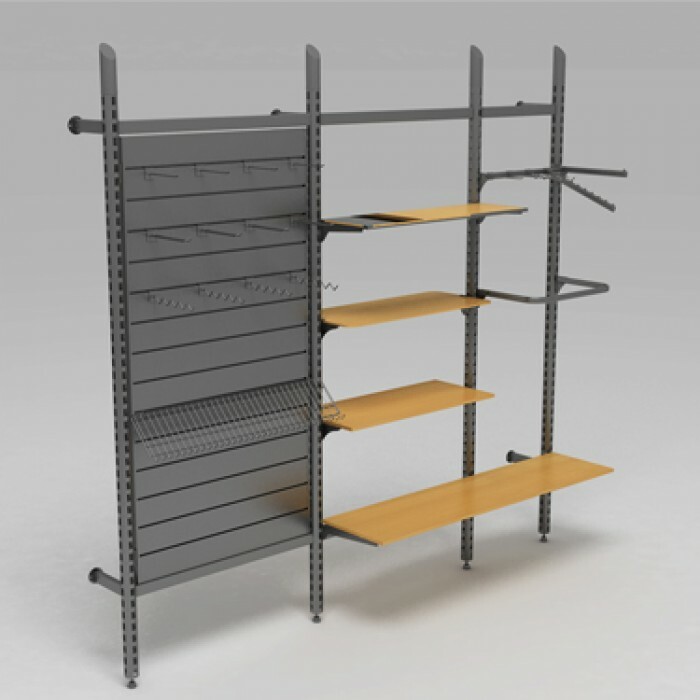 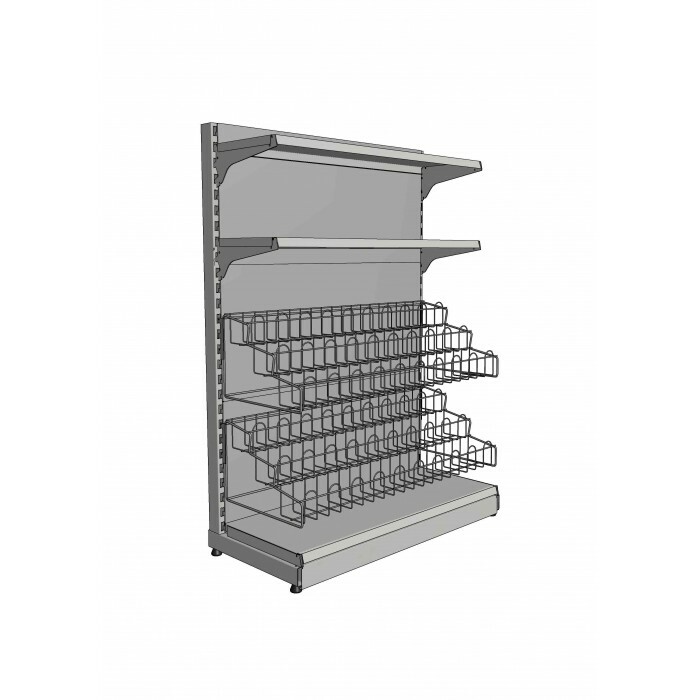 Clothes rail is 1200 mm in height; its base width is 500 mm. 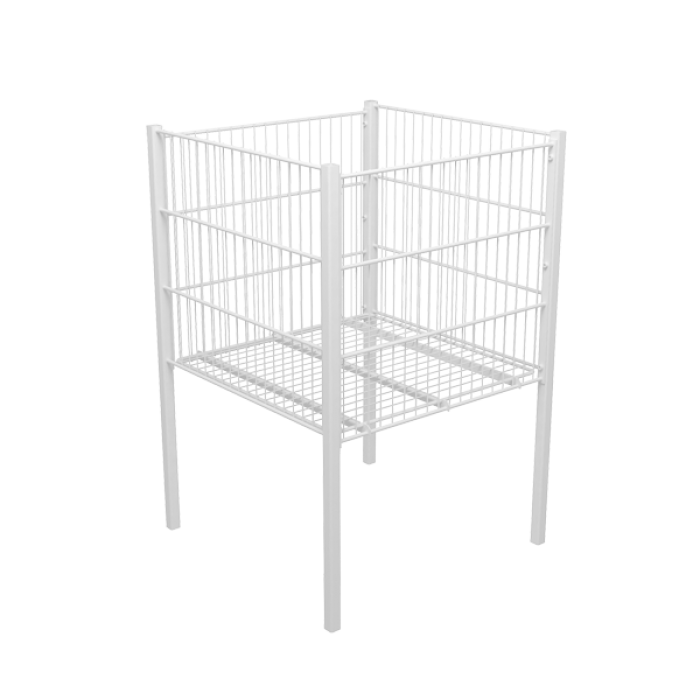 The width of the top part is 750 mm. 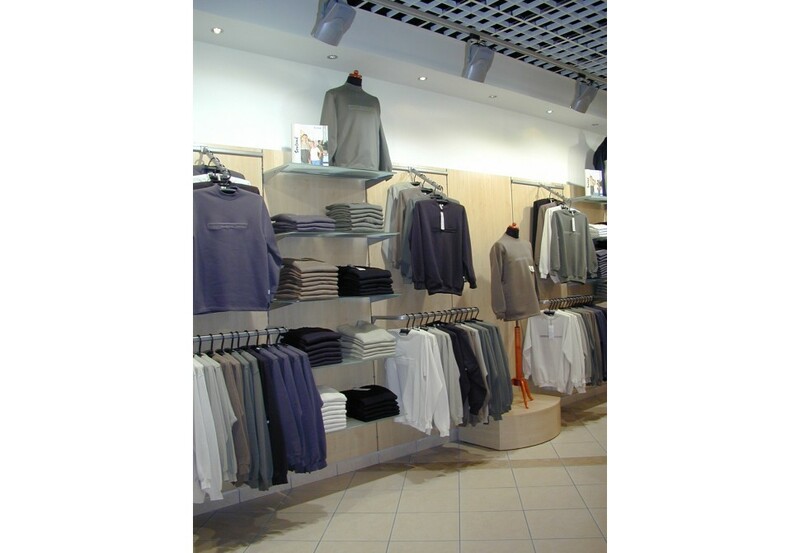 It is intended for displaying clothes both in the center of the salesroom and at the wall. 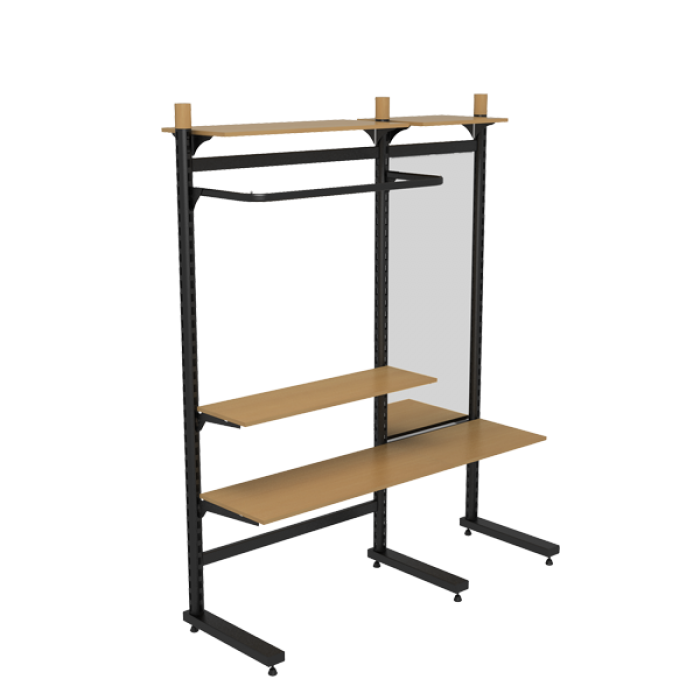 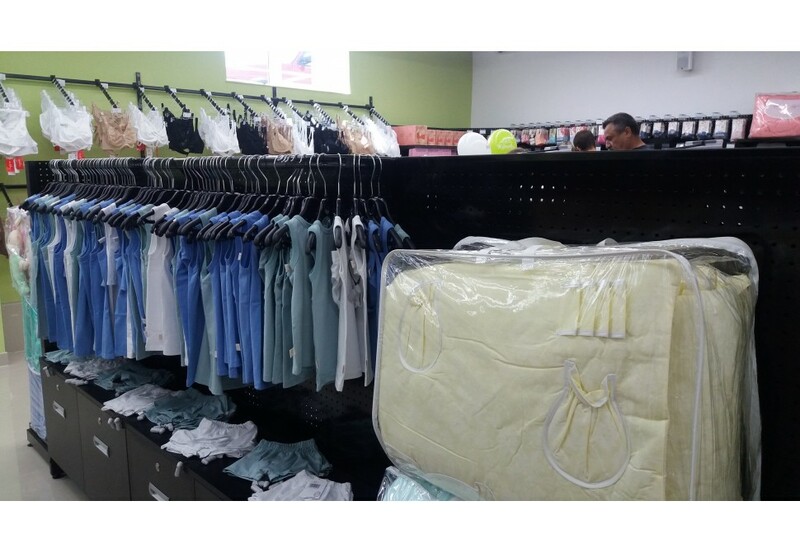 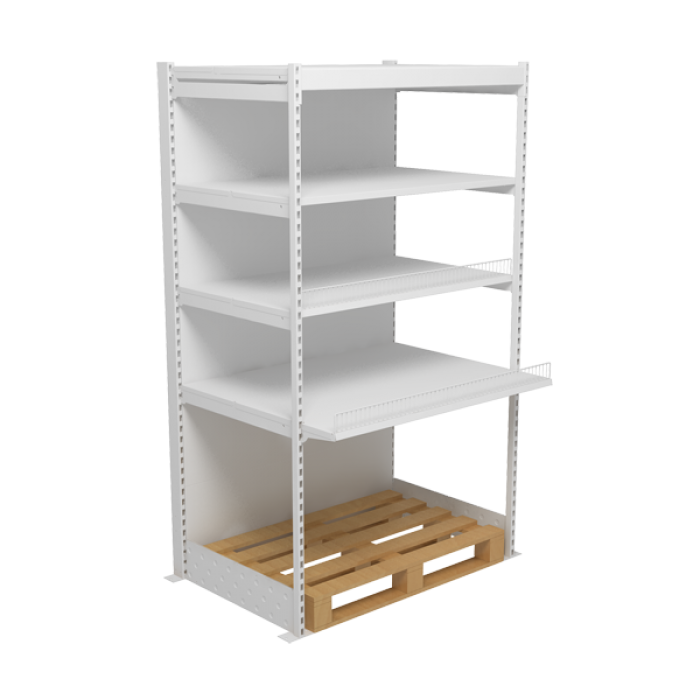 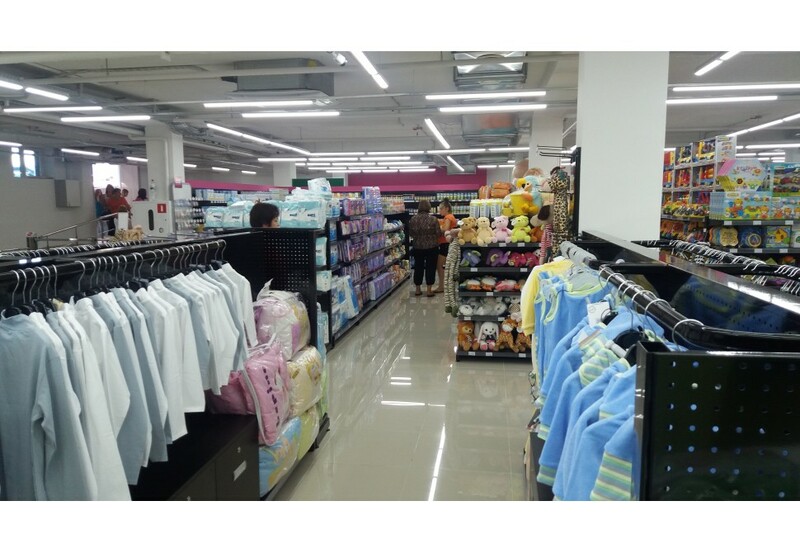 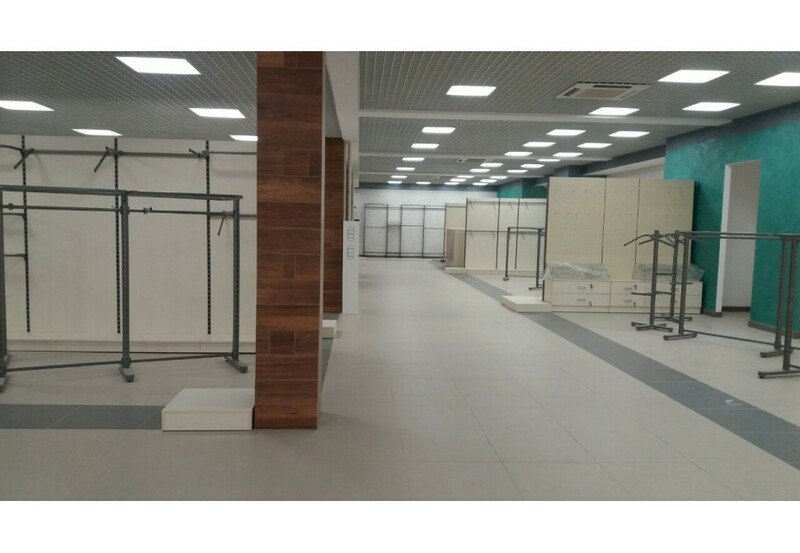 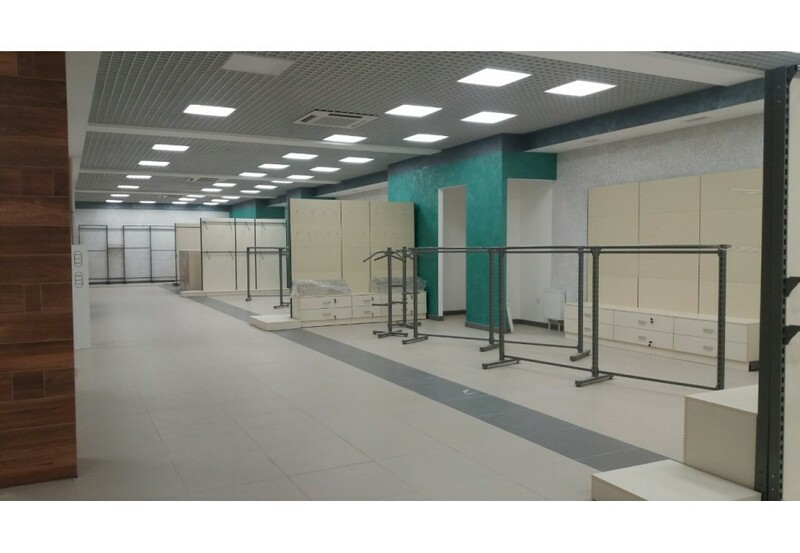 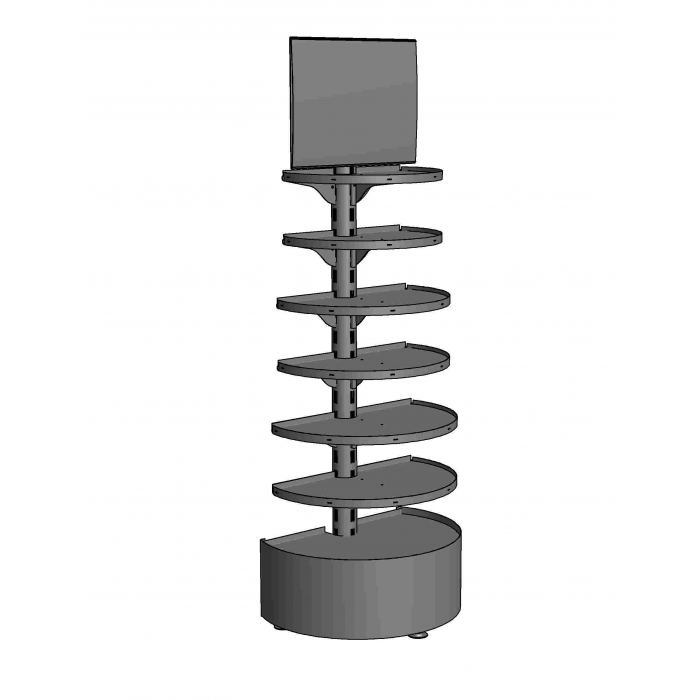 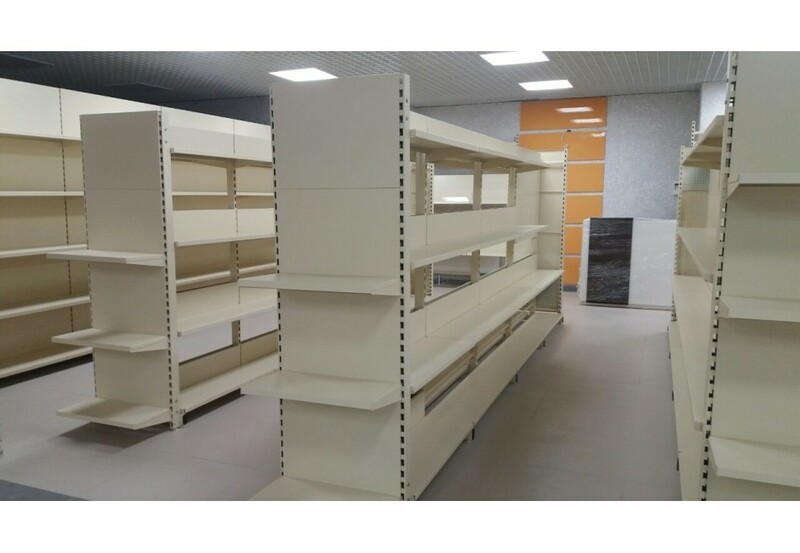 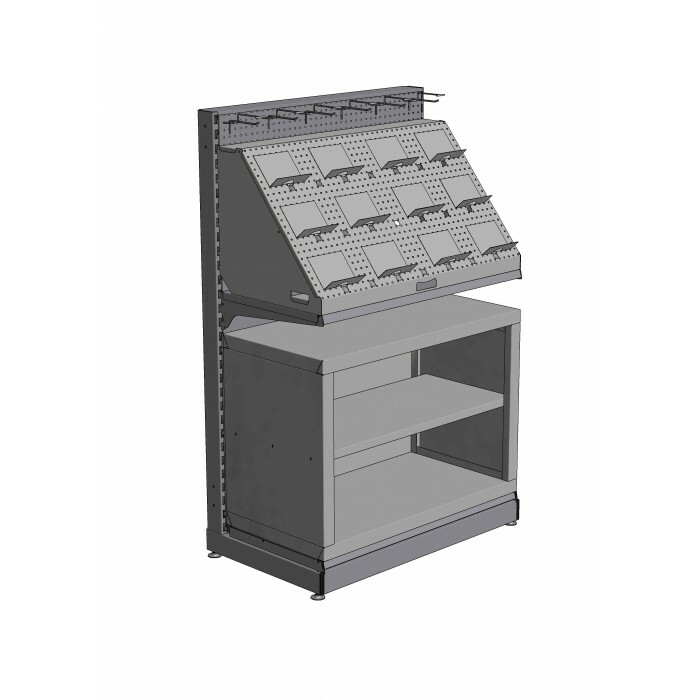 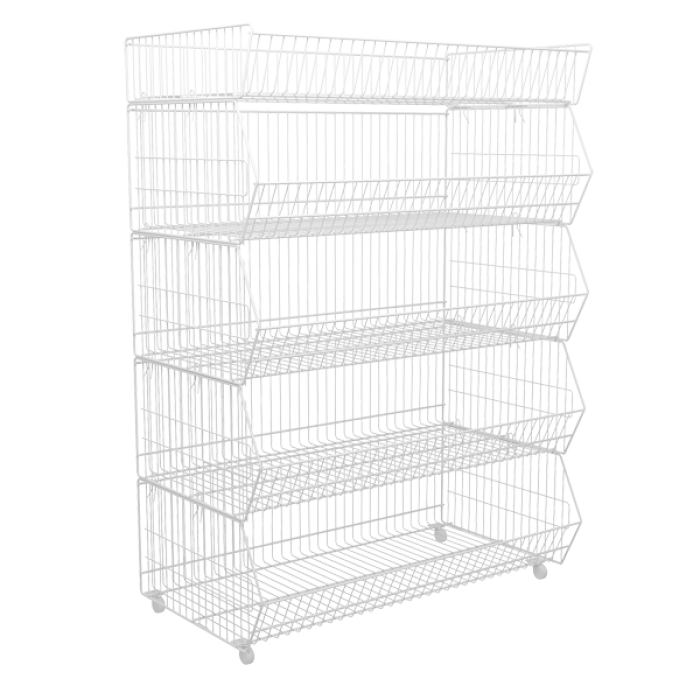 Having installed it in the required place and having displayed outer clothing on hangers you will easily achieve a favorable environment for selling the goods. 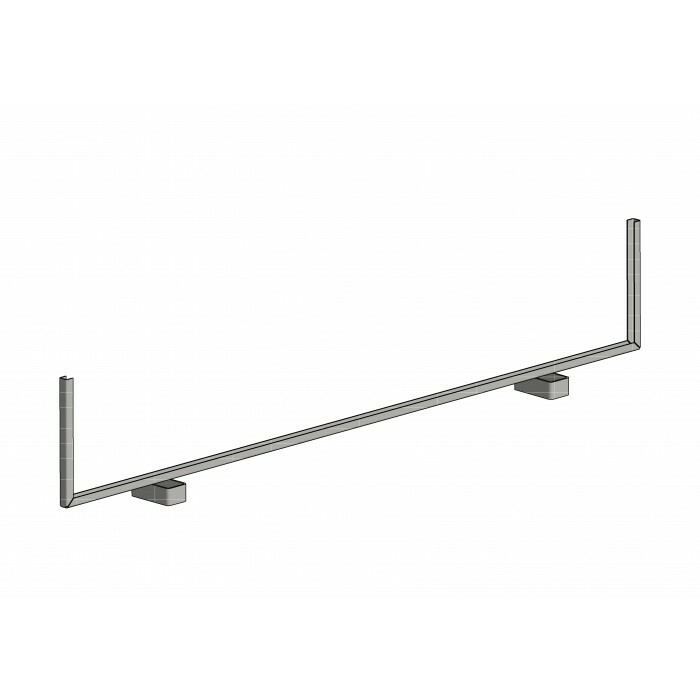 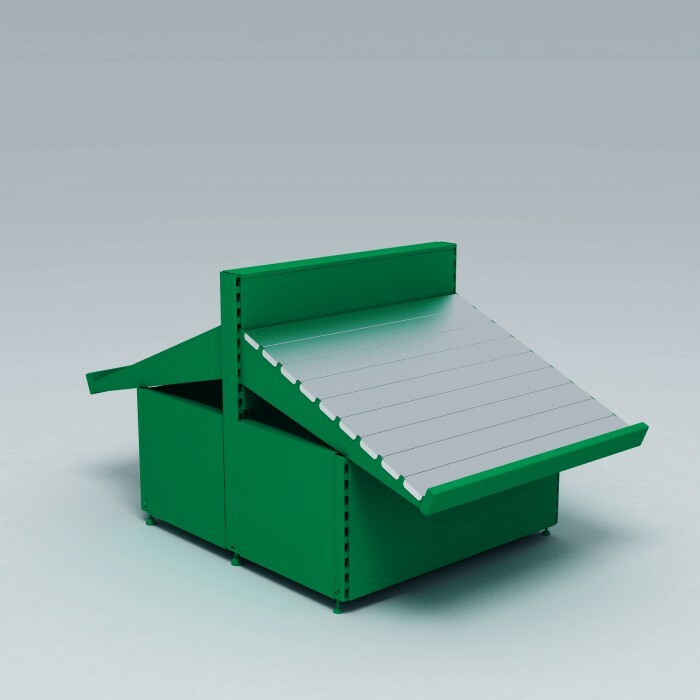 This rail is made of a shaped pipe 20*20; it has adjustable height and can be made in any color.